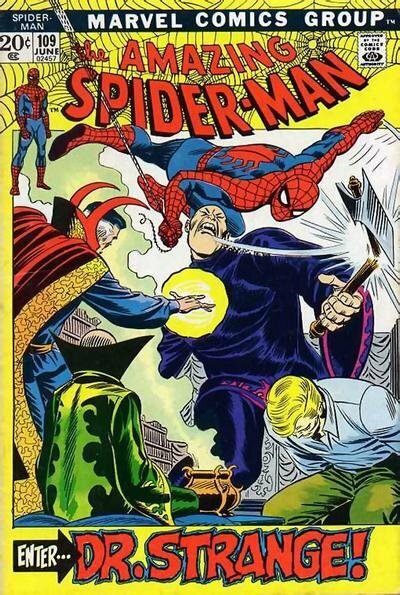 Romitaman Original Comic Book Art :: Private Collection :: Amazing Spider-Man #109 p 15 (1972) by artist John Romita Sr.
Click Here To See Amazing Spider-Man #109 Comic Book! Check out this very nice EARLY BRONZE AGE 1972 MARVEL page, which was penciled and inked by the great John Romita, from the story titled: "Enter... Dr. Strange!" This nice page features GWEN STACY in 6 panels as her and Aunt May actually get into a shouting match over Peter! 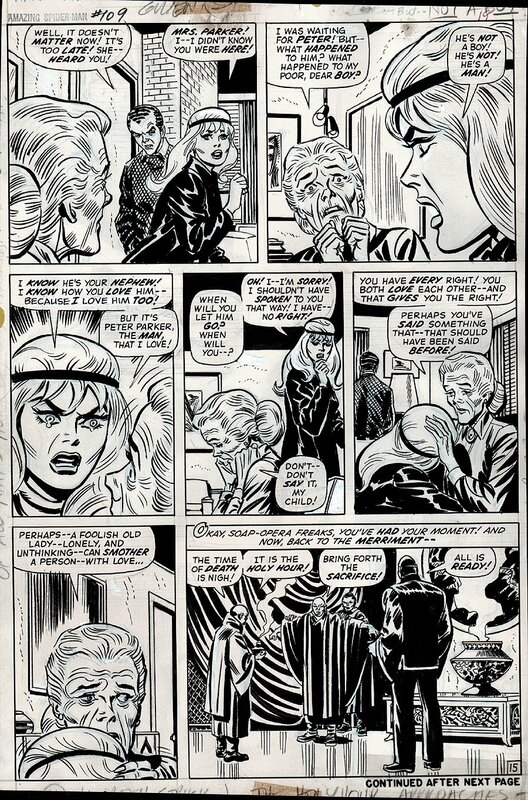 BRONZE AGE Marvel pages, as well as ANY ASM pages featuring GWEN STACY are increasingly hard to find, so don't miss out on a great opportunity here to own a nice Bronze Age 1972 GWEN STACY ASM page! ALL art on our website (including this one) are able to be purchased with VERY fair time payments, and trades are always considered towards "ANY" art on our website! Just send us an email to mikeburkey@aol.com and we can try to work something out.